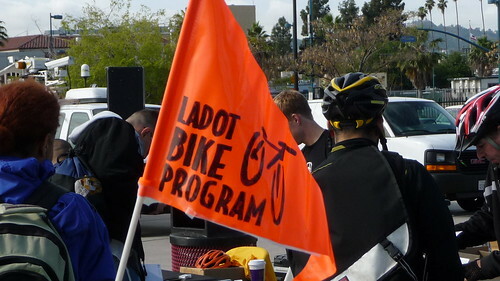 LADOT Bike Blog is getting pretty excited for Bike Week LA. It doesn’t get any better than the chance to share the joys of biking to work with people who might be trying it for the first time. We’ll be covering events throughout the week (including the Downtown LA Ride on Wednesday), and we wanted to give a final heads-up for where we’ll be on Monday before going into the weekend. Monday morning at 8:30 AM, Metro and LADOT will kick off Bike Week LA at the North Hollywood Metro Station. Prizes will be raffled away, plenty of free bike swag will be handed out, and a good time will be had by all. Holding the kickoff for Bike Week LA at the NoHo Metro Station is a fitting location; Metro’s recent repeal of its peak-hour bike ban on trains means it’s that much easier for people to commute to work on Metro and ride the last mile to their work location on their bike. The NoHo Metro Station is also a hub of bike infrastructure in the Valley. The Orange Line Bikeway and the Chandler Boulevard bike path are both accessible from the NoHo station as are the bike lanes on Laurel Canyon Boulevard, Riverside Drive, and Colfax Avenue. This extensive network could soon be connected to Hollywood with bike lanes on Lankershim Boulevard and Cahuenga Boulevard. We’re still taking suggestions on how best to design these bike lanes, so feel free to make your voice heard. There are tons of events going on this week and throughout the month. 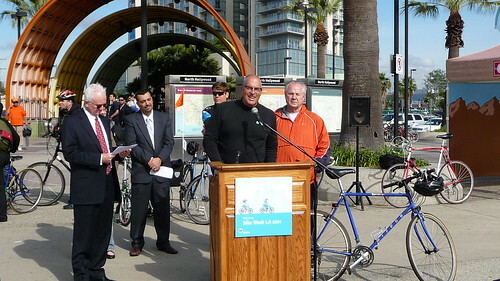 To stay up to date on all of them, visit Streetsblog’s excellent Bike Month 2011 page. I got a bright and early start on Thursday morning to check out the festivities for Bike to Work Day. 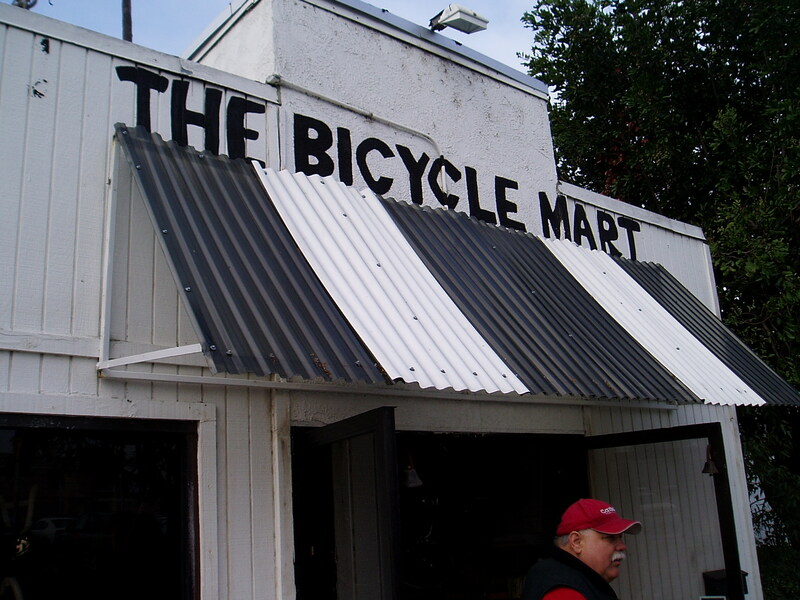 Since I had spent the night in Glendale, my first stop out of the 39 Bike to Work Day pit-stops across the city was at The Bicycle Mart on Brand Blvd. in beautiful Glendale. 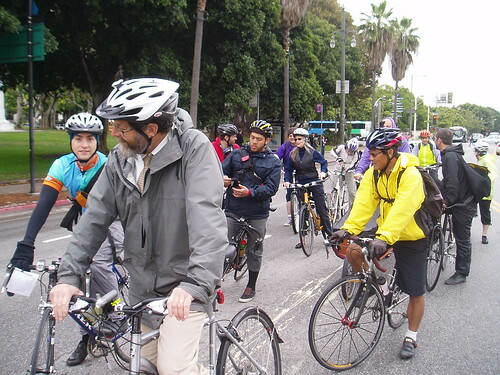 Update: One of my awesome LADOT colleagues took some photos of the Downtown Bike Ride as well. You can check them out here on the LADOT Bike Blog flickr page.